A few months ago a friend of mine had asked if I would help spruce up their mailbox. Well to be specific not the mailbox itself, but the area beneath. You know, that patch of space between the curb and the sidewalk. Well I was beyond excited to help. I had just been given the opportunity to sample some of Monrovia's newest plants and this was the perfect opportunity to try them out. I've been a long time fan of Monrovia. They are absolutely one of my favorite plant brands and my definite go-to when I'm looking for a little "wow' factor as well as premium quality*. I thought this would be perfect opportunity to use Monrovia's plants to add the curb appeal they were looking for. 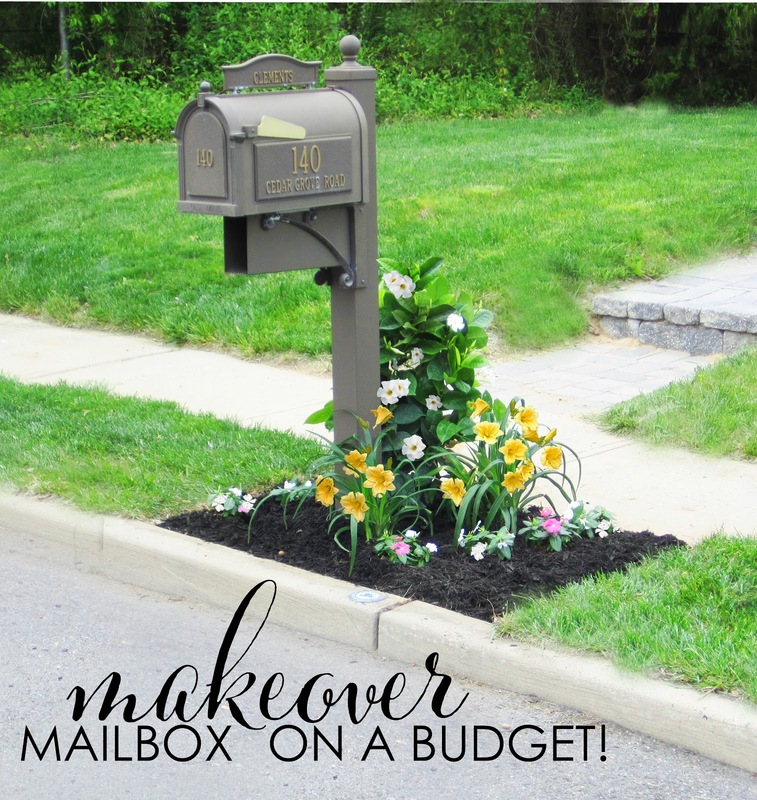 Keep reading and I'll show you how easy it is to spruce up any mailbox in just a few hours. I thought it would be really important to have a great feature plant for this mailbox. The area receives full sun from sunrise to late afternoon. 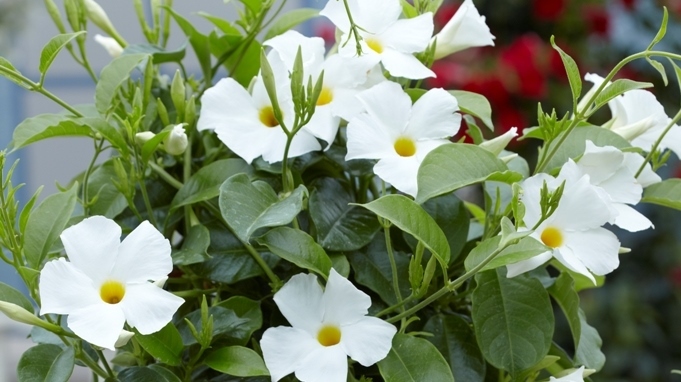 I chose to go with a favorite plant of mine that has become very popular in recent years, the Mandevilla. Let me tell you, these vines are amazing! Not only do they bloom continually from spring thru late fall but they are vigorous and showy. The tiny downside lies in the fact that I live in a temperate climate (7a) and these babies thrive in the hot tropics. For this reason they are sold as annuals in my area of the US. Since they can be rather costly, you can definitely keep them all year by bringing them indoors during the winter. There are several popular varieties and patents to choose from. A brand which has become hugely popular around the US is Sun Parasol®. My favorites are the larger "Giant" varieties. Not only do they have larger flowers but they seem to really climb much better than some of the other types. You can differentiate them by their larger wrinkly leaves and opposed to the smoother flat leaves of the other varieties. I find that many of the Mandevilla, sometimes referred to Dipladenia, that have small flat leaves tend have more of a trailing habit. 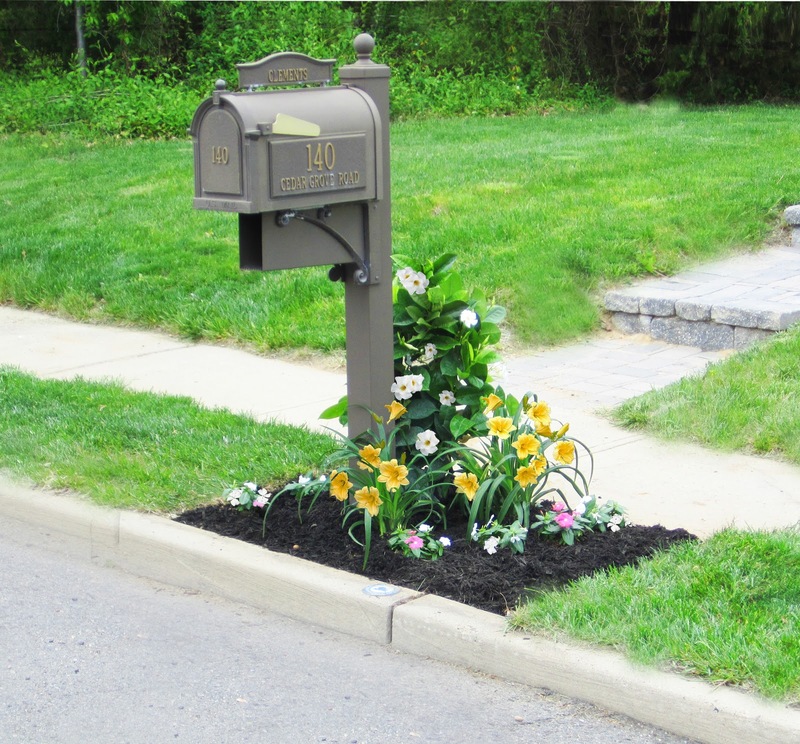 For my mailbox make-over I used Mandevilla 'Bride's Cascade' P.P.A.F. - a superb climber! I began by slightly off centering the plot around the mailbox. 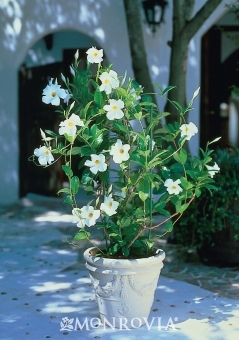 The Mandevilla vine serves as the focal point. 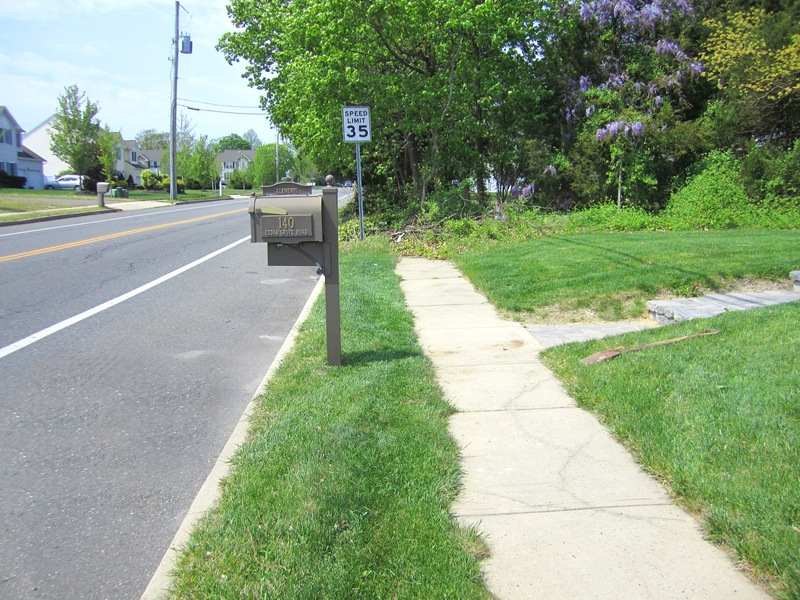 In just a few months, the plant will climb up and over the mailbox, full of pristine white blooms. Next I wanted a few reblooming daylilies so I chose a new variety of the classic Stella d'oro called Precious d'oro. The creamier yellow color will accent the vivid yellow throats of the Mandevilla flower. Finally I added the heat loving flowering vinca. These babies will be covered in flowers all season and are very adaptable to drought. They really fill out by mid-summer and each one will cover 1-2 sq. 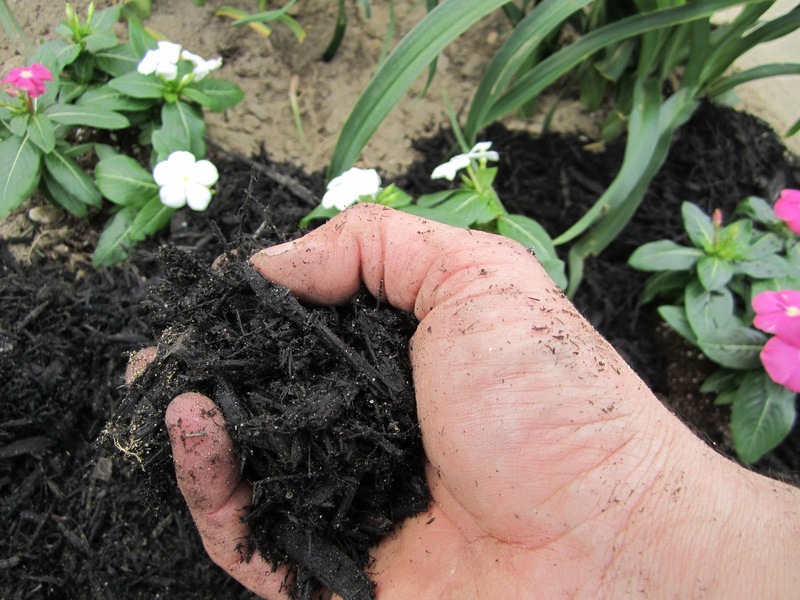 ft. Lastly, don't forget a nice 3 inch layer of organic mulch to help soil moisture, temperature and weed control. for new and exciting posts! in the comment section below. *One of the factors that I love about Monrovia plants is the soil they are grown in. I think this really is the trick that makes these plants a consistent success when planted in your own garden. Their soil is absolutely unique. It contains Mycorrhiza, a beneficial fungus, which develops in and around the plants roots. What's special about this is the way it helps stimulate nutrient and water uptake as well as greatly reducing transplant shock. And guess what, the benefits don't stop there. The Mycorrhizae will actually incorporate into your own soil benefiting your entire garden's eco-system! How cool is that! I am telling you, even if you have the palest of green thumb, you'll be able to grow these spectacular plants.